Busch Gardens Tampa Halloween Safari of Fun! 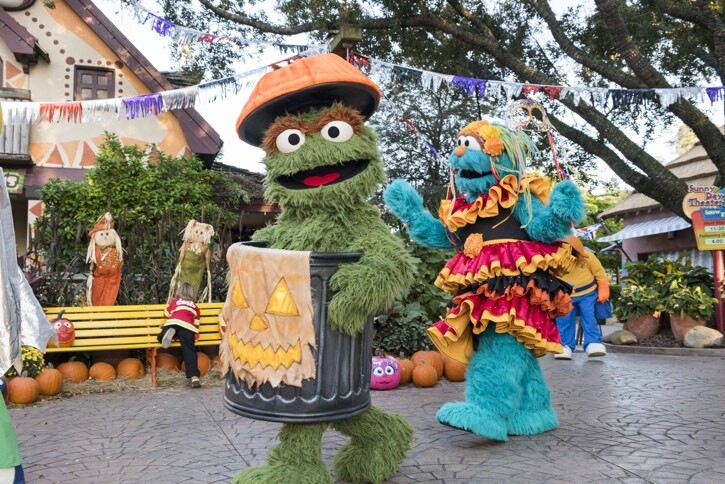 Busch Gardens Tampa (one of my favorite parks to visit) is expanding their Sesame Street Halloween event. Check out the details on the press release. 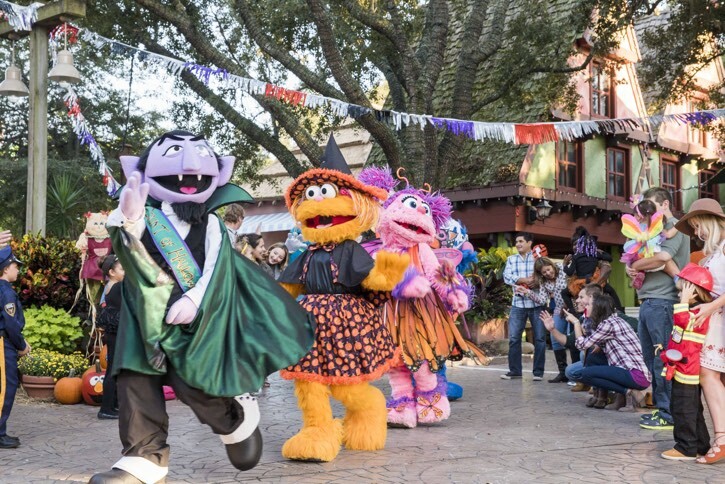 TAMPA, Fla. (August 31, 2017) – Busch Gardens® Tampa Bay welcomes back Sesame Street® Kids’ Weekends this October, with an extended four weeks of Halloween fun each Saturday and Sunday from 11 a.m. until 3:30 p.m. Beloved Sesame Street characters, Abby Cadabby, Big Bird, Elmo, Grover, Rosita, and other popular faces will make appearances and will be dressed in their own special Halloween costumes! Crafts that transform kids into a magical fairy like Abby Cadabby or a loveable monster like Elmo. Unique superhero-inspired crafts and character parades led by Super Grover himself. A scavenger hunt with Bert and Ernie, animal ambassadors and safari-inspired Halloween crafts. Fiesta-inspired Halloween crafts and character parades led by Rosita throughout the Safari of Fun area. Located at Gwazi Field, visitors can participate in a wide variety of fall-inspired activities. Families can enjoy games and events every weekend including a hay-bale maze, pumpkin ring toss and so much more. 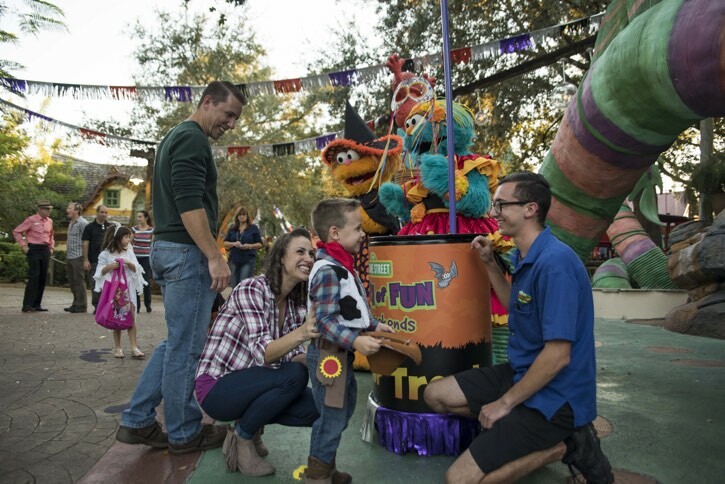 Show off your family costumes and join us for parades and dance parties with our favorite Sesame Street pals. No reservations are necessary. Every Saturday morning, starting on October 14th, from 10 – 11:30 a.m., parents and kids are invited to an exclusive painting session during Sesame Street Kids’ Weekends. The experience kicks off with a meet-and-greets with one of your favorite Sesame Street friends followed by a 45-minute kid-friendly painting session led by an instructor. Reservations are required, space is limited. Book here. Make lunch more than just delicious by sharing it with Elmo and friends. Everyone in the family will find something to savor in our delicious Sesame Street Character Dining lunch buffet every Saturday and Sunday of the Halloween weekends. Enjoy hugs and high fives during a Halloween-themed lunch and enjoy character story time, sing-a-longs, dance parties, and special photo opportunities. Reservations are required, space is limited. Book here.